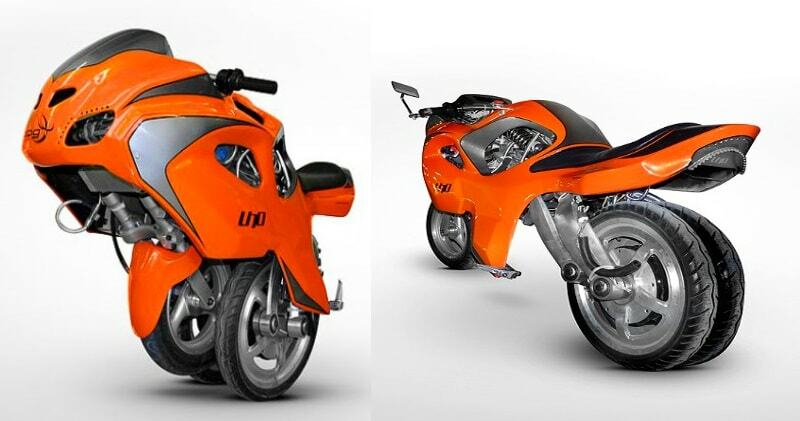 The Uno is an novel self-balancing electric motorcycle using two wheels side by side (the configuration used by dicycles). The Uno III adds third wheel that allows it to transform into a tricycle.The original Uno is controlled in forward motion by the rider shifting weight over the centre of gravity. When the rider shifts forward, the vehicle speeds up to regain balance, when the rider leans back, the vehicle slows. Steering is controlled by side-to-side motion of the rider. The vehicle senses this shift and raises one of the two wheels to allow the vehicle to tilt in the desired turn direction. The Uno now sports 3 wheels. It sits up on the rear parallel wheels at slow speed but then lowers the front wheel at higher speeds.The Uno 3 is designed to be licensed as a scooter-class vehicle, and indeed, in Uno (or scooter) mode, the Uno 3 has a city-suitable topspeed of about 15mph. Once in motorcycle mode, riders can reach a breezy 30mph. 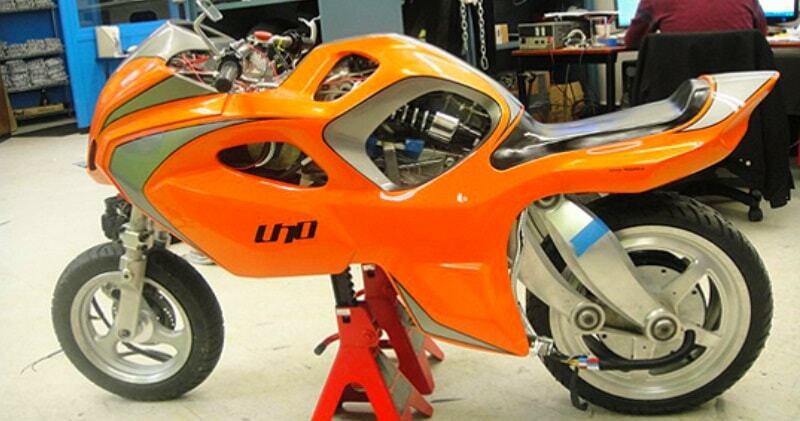 Breathe a sigh of relief- the company hopes to increase the performance of the bike.